So how can you know you’ve selected the perfect gift? Let them choose it themselves! 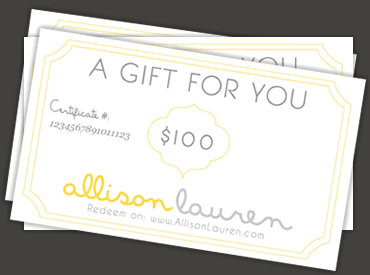 Allison Lauren Gift Certificates make wonderful gifts. Just fill out the fields below and we will email you (or the recipient) their certificate with a unique, 15 digit, redemption code that can be applied in the cart at checkout.